​​​​​ THE WOODLANDS – The University of Texas M.D. Anderson Cancer Center (M.D. 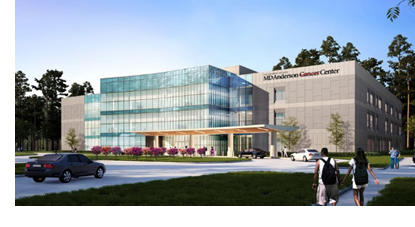 Anderson) completed a major milestone for its new facility in The Woodlands. M.D. Anderson​ will relocate existing Woodlands staff and services to the new facility when it is complete. The employee count is expected to increase to 200.